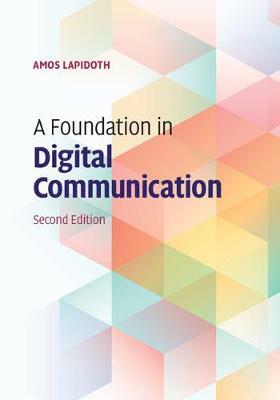 Written in the intuitive yet rigorous style that readers of A Foundation in Digital Communication have come to expect, this second edition includes entirely new chapters on the radar problem (with Lyapunov's theorem) and intersymbol interference channels, new discussion of the baseband representation of passband noise, and a simpler, more geometric derivation of the optimal receiver for the additive white Gaussian noise channel. Other key topics covered include the definition of the power spectral density of nonstationary stochastic processes, the geometry of the space of energy-limited signals, the isometry properties of the Fourier transform, and complex sampling. Including over 500 homework problems and all the necessary mathematical background, this is the ideal text for one- or two-semester graduate courses on digital communications and courses on stochastic processes and detection theory. Solutions to problems and video lectures are available online.